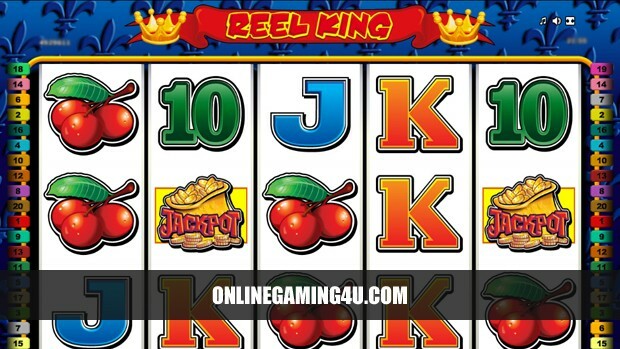 Summary: Online Slot Machines are awesome with a variety of features and free spins. Slot machines are one of the most recognisable features of casino gambling, and one of the most widespread forms of gambling machine in the world. Indeed, slot machines are so important to casinos that they account for up to 70% of revenue in many of the larger Las Vegas establishments. The main attraction of slot machines would have to be winning the jackpot – waiting for the three matching symbols to come up and walking away with that life-changing sum of money. But to what extent can the dream really become a reality, and do slot machines present an attractive gambling proposition? Slot machines, as most people know, contain a number of reels which rotate to present symbols on the instruction of the player. When the wheels stop, the object for the player is to have them stop on matching symbols, in combinations indicated on the machine that provide a payout. The odds of the machine can be set by the casino and are variable, and machines can also be linked to others to give much larger jackpots. In general, there are three types of slot machines that can be played, each with their own distinct advantages. The first such machine type is the most common. The stand-alone is a one-off machine that has no other connections and calculates odds based on the income of that one machine alone. It usually pays out a much lower jackpot, which is usually notified to the player with an onscreen display. The in-house progressive, on the other hand, is linked to multiple machines within the same casino or casino chain. These are run by the casino as a collective, and pay out substantial jackpots on the basis of the total earnings of the network of machines, allowing the odd lucky gambler to walk away with a sizeable win. But even in-house progressive slots cannot compare to the payouts from wide-area machines. Linked across multiple casinos and owned and operated by one central entity, wide-area machines are the slots that have the potential to deliver life-changing wins to those fortunate enough to scoop the jackpot. Of course the payout is less frequent than on other machines, and at lower levels payouts may even be less favourable than other machines. However, with the massive jackpot in sight, wide-area progressive slots are a particularly popular attraction. Aside from physical slots, there is also a growing interest in virtual, or online slots. In recent years, there has been a shift from manual reels to virtual reels, making possible for the first time online and computerized slot machine gameplay. These slots provide gamblers with the opportunity to earn money from home, without having to venture into the casino, and thanks to developments in technology, they represent a viable alternative to live slot machine play. Slot machines come in a variety of different shapes and sizes, but all carry the same underlying principle. With the potential to win big, they are always likely to prove a popular fixture with casinos and gamblers alike, and with technology developing to make slots even more accessible, it looks like they could be here to stay.